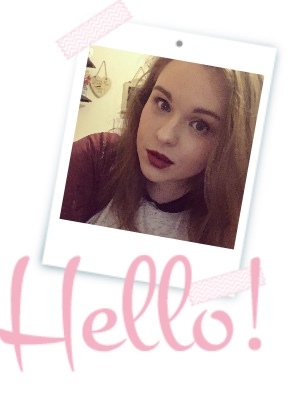 Professional Daydreamer: Blogmas Day 3 | Text Santa! 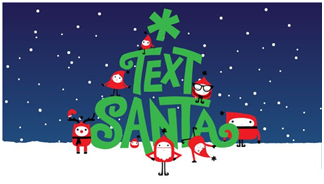 I wanted to chat to you all today about text Santa. Text Santa is a relatively new Charity fundraiser in England set up in 2011 by ITV to support UK charities during the Christmas period.The appeal to the public is to donate money to go towards 6 Charity's that are Alzheimer's Society, The Guide Dogs for the Blind Association, Marie Curie Cancer Care, Teenage Cancer Trust, Together for Short Lives and WellChild. I really love the text Santa appeal because it raises money for some amazing Charity's. In England every year we have a night for Children in need, Comic relief and now for text Santa. This year Phillip Schofield hosted a 24 hour show where he interviewed loads of different people, and throughout this live TV show he had no breaks. I really love the text Santa appeal simply because Christmas is the time of the year when money can be tight because everyone is getting presents and preparing for Christmas day, with that in mind people still find time and money to donate to this amazing appeal. Ive donated so I encourage you all to head over to the website, have a little look for yourself what its all about and if you can it would be amazing if you could donate.